Northwest Missouri State University will host its second indoor track and field meet at the Hughes Fieldhouse, while Bearcat basketball preps for a rivalry matchup in St. Joseph. All of that and more was covered this week on the KXCV Bearcat Coaches Show from Carson's Sports Grille. Northwest track and field returned to action last weekend at the Graduate Classic in Lincoln, Nebraska and put together some impressive performances. The Bearcats swept all of the MIAA's weekly awards for the top track and field athletes with Kevin Schultz (high jump), Cliff Nichols (800m run), Jordan Hammond (400m run) and Mercedes Isaacson-Cover (triple jump) all bringing in honors. Now the 'Cats turn their attention to the Northwest Open Saturday with 24 teams from throughout the midwest competing in the Hughes Fieldhouse. 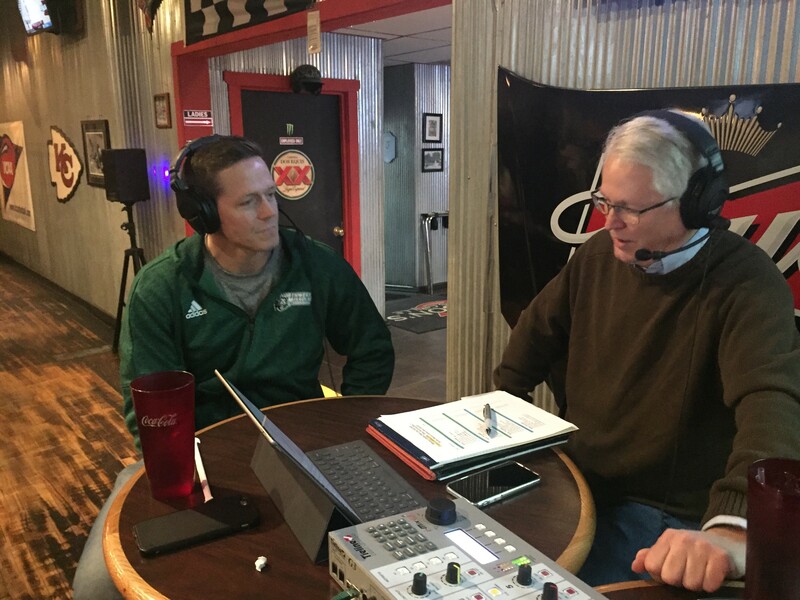 Northwest head coach Brandon Masters joined the show Thursday evening to talk about how his team has performed. Bearcat women's basketball returns to the hardwood Saturday for a rivalry game with Missouri Western. Northwest split the series last season, and this weekend's game will be the final one for Bearcat senior Mallory McAndrews in her hometown of St. Joseph. McAndrews and head coach Austin Meyer discussed the upcoming contest on the Coaches Show. Northwest men's basketball is one of two undefeated teams remaining in NCAA Division 2 men's basketball. The 'Cats are 16-0 overall and 6-0 MIAA. This weekend they travel to St. Joe looking to extend their 11-game win streak over rival Missouri Western. Head coach Ben McCollum and senior Joey Witthus spoke with John Coffey about the matchup and the early success in the MIAA. Full audio from the Coaches Show is available above.